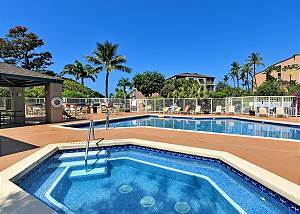 Pacific Shores Kihei condos for rent are an affordable vacation rental, across the street from the long white sands of Charley Young Beach. All condos are two bedroom, two bath. Each condo has its own private lanai. The views are partial ocean views or garden. Each of these Pacific Shores condos feature TV, telephone, complimentary Wi Fi, washer/dryer, air conditioning and kitchens. Enjoy the world famous pleasures of Golf at Wailea, Makena and Ellier golf courses. You can also enjoy the nearby tennis facilities at Wailea Tennis Club. There is a pool, spa, barbeque area, and complimentary parking for added comfort and convenience. The upscale Shops at Wailea and restaurants are approximately half a mile away. Major supermarkets are within four miles by car as well as banks, drug stores and a movie theater complex. 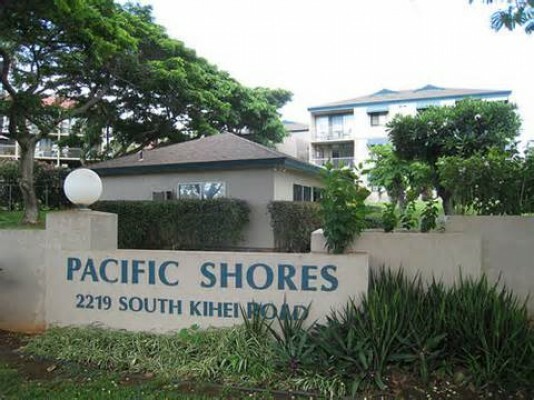 Pacific Shores condos are also only one mile away from Wailea's five major beaches. 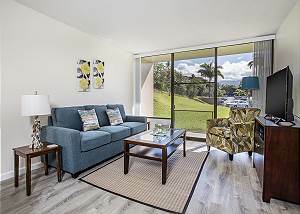 South of central Kihei, just north of Wailea makes the location of these Maui condos easily accessible, and with Kahului airport is only thirty-five minutes away you won’t have to rush even to catch your flight! Come, visit us, and see what a delight staying at Pacific Shores can be! 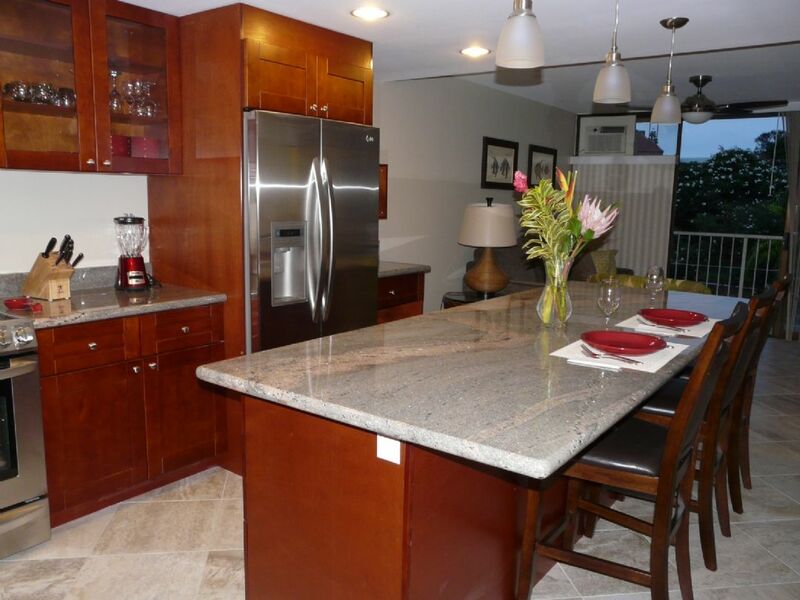 Our newly remodeled two bedroom condo has a true island feel! 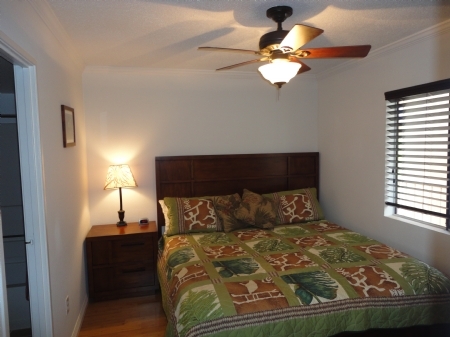 It comfortably sleeps four and is located just one block from the waters of Kamaole Beach III in Kihei. Pacific Shores #A-303 is a 2 bedroom, 2 bath unit on the 3rd floor, with split system A/C throughout, a fully-equipped kitchen, W/D, TV, and free Wifi, sleeps 4.